-- When the Third Reich fell, it fell swiftly. The Nazis had little time to cover up their memos, their letters, or their diaries. William L. Shirer’s definitive book on the Third Reich uses these unique sources. 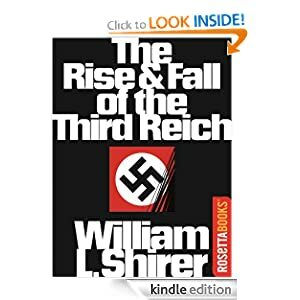 Combined with his personal experience with the Nazis, living through the war as an international correspondent, The Rise and Fall of the Third Reich not only earned Shirer a National Book Award but is recognized as one of the most important and authoritative books about the Third Reich and Nazi Germany ever written. The diaries of propaganda minister Joseph Goebbels as well as evidence and other testimony gained at the Nuremberg Trials could not have found more artful hands. The Rise and Fall of the Third Reich or to sample this book for FREE! Thirteen is when a Beaumont’s savvy hits — and with one brother who causes hurricanes and another who creates electricity, Mibs Beaumont is eager to see what she gets. But just before the big day, Poppa is in a terrible accident. And now all Mibs wants is a savvy that will save him. In fact, Mibs is so sure she’ll get a powerful savvy that she sneaks a ride to the hospital on a rickety bus with her sibling and the preacher’s kids in tow. After this extraordinary adventure — full of talking tattoos and a kidnapping — not a soul on board will ever be the same. 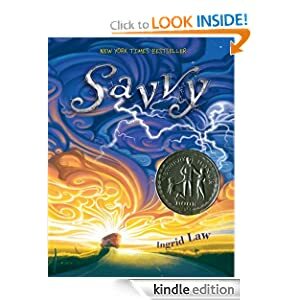 Savvy or to sample this book for FREE! -- "They rode west from the slaughter, through the painted desert, and did not stop until they were a hundred miles away." So begins Throttle's terrifying odyssey down desolate Route 6, a long stretch of road in Nevada's empty desert. Vince, his son Race, and his pack of bikers, The Tribe, are on the run, but it's not long before the group is chased by something far more frightening and relentless than the memory of their own crimes. 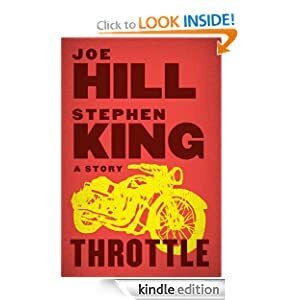 In Throttle, Stephen King and his son, novelist Joe Hill, have paired up to write a suspenseful novella in homage to Richard Matheson's famous "Duel," a story which also features a mysterious driver with deadly road rage. In both works, the driver is faceless, a senseless source of terror that feels almost machine-like, inhuman: King and Hill reveal only his arm hanging out of his window, "a cigarette smoldering between two fingers." Throughout, the story is enlivened with vivid illustrations, and the prose is quieter and more lyrical than we've come to expect from King, full of visual detail: the desert cliffs "striped in chalky shades of yellow and red," the "tires churning up a fog of dust that turned the blue sky white." It seems Hill may have had a strong hand in the prose, but a father-son team is definitely behind this: amid its horror, the real heart of Throttle is the complex, thorny relationship between Vince and his son. Throttle or to sample this book for FREE! -- Becky Taylor seems like a typical suburban stay-at-home mom with a loving husband and an adorable son, but she has a secret. In between juggling judgmental playgroup moms, an intense career-minded prosecutor of a husband, and a sister who can’t stop reminding her of her old ambitions, Becky moonlights for one of the world's most controversial websites, helping to expose state and corporate secrets. To make matters worse, now the feds are on her tail. The more complicated Becky’s life becomes, the more equipped she feels to handle it. Who says you can’t be one of the world’s most dangerous international whistleblowers and still make a killer meatloaf? This book is a Kindle Serial. Kindle Serials are stories published in episodes, with future episodes delivered at no additional cost. This serial currently contains one episode out of an estimated five total episodes, and new episodes will be delivered every month. An additional episode will be delivered every month until the book is complete. New episodes will be added to the same book on your Kindle, keeping your place and retaining your notes and highlights. You'll be notified via email when a new episode has been delivered. Episode 1: Released on September 6, 2012. 32 pages. When Becky goes to a hacker's convention to support her younger sister, what seems like a chance encounter threatens to turn into the biggest decision of her life. 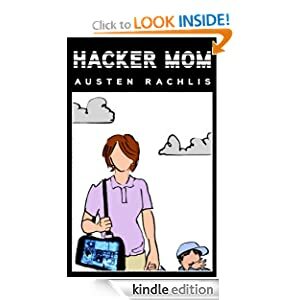 Hacker Mom or to sample this book for FREE!